So the recently acquired CR-V has a hitch and I wanted to utilize it for bike carrying purposes. 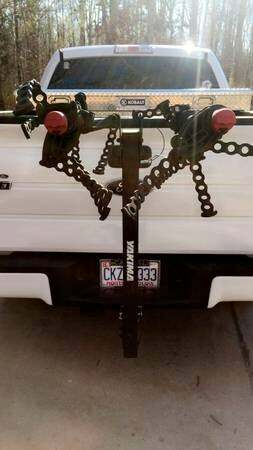 Looking to fit 4 bikes (2 kids 2 adults) found some on craigslist that seem ok but figured I’d run it by oppo to see if they had any insight. Also I’m fighting strep throat so make sure your anti virus is enabled and go wash your hands after replying for good measure.